Not a week goes by now without another prediction of terrorist attack. The head of Homeland Security, the head of the FBI, and even Chancellor Palpatine himself in his unique syntax have all assured us that further destructive attacks are "inevitable". The unknown terrorists with their worldwide networks hate all Americans because of our tolerance of different ethnic groups, our wealth, and our hedonistic ways. So we must brace ourselves for more waves of destruction, possibly involving scuba-diving terrorists using gasoline tanker trucks to set fire to Jewish suburbs while facing Mecca and detonating radioactive dirty bombs. There is no action we can take to avoid our fate. But hang on a minute. How did the US gain its monopoly position as the only nation deserving of terrorist retribution? What about England, France, Germany, Sweden, Holland, Denmark, Japan, Australia, or... Switzerland? Aren't these nations tolerant, wealthy, and more or less hedonistic? I think that I can demonstrate this, and I will expect future terrorist attacks to be parceled out among all similar countries on a pro rata basis. It is unfair for the US to hog all the glory of our virtues, and disparaging to the moral strength of the potential victims in places such as Switzerland. Yes, Switzerland. Let's go down the terrorist-rage checklist. First, tolerance: far superior to the US. The people of Switzerland are not only from different ethnic groups, but actually speak five different languages. The national anthem of Switzerland is sung in these five different languages, and no one tries to force Italo-Swiss to start speaking German, French, or the other Swiss dialects. Second, wealth. The Swiss have a slightly lower but similar per capita income to US citizens, and given the tradition of tax evasion and banking secrecy one might suspect that their actual income is quite comparable. Financial comparisons between nations are tricky anyway given different methods of collecting statistics. If we look at physical measures of well-being such as life expectancy the Swiss are ahead with lifespans for males of 75 and for females of 81, edging out the US figures of 73 and 79. I think that we can safely state that in terms of wealth the Swiss are quite capable of inducing envy in fundamentalist Muslim terrorists. Third, and most important, hedonism. It is the work of a moment to check out any Swiss web site and view the Swiss women. QED. If any further evidence is required, the Swiss spend much less money and time chasing recreational drug users than the US DEA does. Ignoring any possible benefit to drug users, the taxpayers are much better off; taxpayers being far more numerous, again, QED. Swiss chocolate vs. Hershey's; QED. So, Switzerland is tolerant, wealthy, and hedonistic. But yet it remains disgracefully terrorist-free. Not only has it been neglected by Al-Quaida and the other CIA-funded "Islamic" terrorist groups, but historically it has also not been attacked by Hitler, Bismarck, the Kaiser, Mussolini, Stalin, or even Bill Clinton's cruise missiles. In fact, Switzerland has not been in a war of any kind since 1815. It has not been in an official foreign war since 1515. This would be astounding, even miraculous, for any nation. But Switzerland borders Germany. And France. And Italy. And Austria. And Liechtenstein. Now Liechtenstein has rarely lashed out in Blitzkrieg in a desperate bid to reign uber alles, but ALL of Switzerland's other neighbors have spent the last millennium invading other countries. But, they didn't attack Switzerland. Now, you would think that peacekeeping performance of this kind would make Switzerland the main object of study in every political science and civics course worldwide. "WHY Didn't They Attack Switzerland?" should be the title of many a textbook. But in fact, no one studies Switzerland, because the aim of political science is not to keep peace, but to keep power over people. Switzerland is of no interest to politicians, because the features of the Swiss system that keep the peace are the same features that make Swiss politicians unimportant. Do you know the name of the Swiss President now serving out his nonrenewable one-year term? No, you do not. His name doesn't matter, and he doesn't matter to the defense of Switzerland. There is no central location of Swiss defense, no Pentagon or NORAD into which you can crash a 757 or a black-market Kazakh nuclear weapon. The defense of Switzerland is the entire people of Switzerland itself. Switzerland has also provided for defense of the lives of its civilian population against nuclear terrorism. Realizing after World War Two that nuclear weapons in the hands of power-mad idiots posed a public health threat, the Swiss started a nationwide shelter-building program in 1960. By 1991, there was enough shelter space in Switzerland to protect everyone in their home or apartment, and also enough at their workplace and school. A Swiss child is generally never more than a few minutes from a fallout shelter with an air filter. The entire Swiss shelter program was accomplished for somewhere on the order of 35 dollars per year per capita. I believe those are 1990 dollars, but it doesn't matter. The US spends vastly more every year to achieve a military only capable of intervening in non-nuclear-armed Third World nations. We have no defense for our children at all. The combined US armed forces are incapable of shooting down a single ballistic missile, or even intercepting a single low-flying propeller plane. Nor are there any bunkers with filtered air supplies for the inhabitants of our glass cities or crackerbox suburbs. The only civil defense in the US is for the President and the bureaucrats under Iron Mountain. Everyone else is nuclear fodder, except for those provident few (such as the Mormons) who built their own shelters to protect their families. 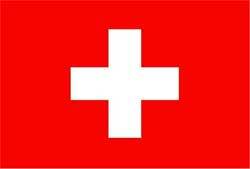 Switzerland does not send troops to intervene in other nations. Switzerland does not spend billions of dollars yearly to fund dictators around the world, nor did Switzerland donate hundreds of billions of dollars to the Warsaw Pact through bank "loans". Switzerland does not send billions of dollars worth of weaponry every year to the warring tribes in the Middle East. Switzerland has no enemies. Yet the Swiss are armed to the teeth and dug into every hill and under every building. US policy is the mirror image of the Swiss. The US intervenes everywhere, spies on everyone, supports every faction in every dispute. We have as many enemies as there are disputatious people in the world. Yet we spend more effort on disarming our own airline pilots than on providing shelters for our children against nuclear, chemical, or biological attack. We have vast conventional armies for refighting W.W.II, vast numbers of nuclear weapons for murdering the populations of cities. But no defense for our children. This article was published in the Laissez Faire Electronic Times, Vol 1, No 20, July 1, 2002.